The captain of a vessel escorted to Malta earlier this week with 100 migrants on board risks facing charges related to human smuggling, sources close to the police have said. 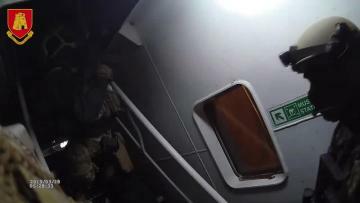 The police and inquiring magistrate are investigating the possibility that the skipper could have “misled” the authorities by claiming he lost control of the vessel after rescuing the migrants off Libya, the sources added. Investigators are not ruling out that he could have reported such a situation over the radio to be allowed to enter Maltese waters. The first arraignments related to the case are expected on Saturday. According to official accounts over the past days, the captain had claimed migrants aboard the ship had taken control of the El Hiblu 1, without violence. This led Maltese authorities to believe it was hijacked and, in fact, a spokeswoman for the Armed Forces of Malta had at one point described the vessel as a “pirated ship”. It would be the magistrate who would decide whether enough evidence existed to arraign the captain, the sources said, adding this decision would have to be taken on Saturday. The police are still in the process of piecing together what actually happened on the vessel before armed Maltese soldiers went on board. Maltese authorities managed to communicate with the captain on Wednesday night, when the vessel was about 30 nautical miles from Malta. Malta's Armed Forces subsequently boarded the ship and brought it to port. Five of the migrants were arrested. A Libyan official was on Friday quoted by Associated Press as saying that the migrants had used metal tools to threaten the crew, forcing them to head towards Europe. “When the sun rose and the migrants realised they are returning to Libya, some of them rebelled and used workshop metal tools in threatening the crew to change the route and head north,” a spokesman for the Libyan coast guard said. 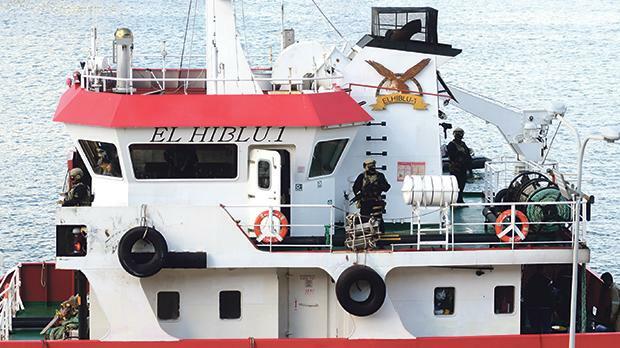 Police officers told the Times of Malta no weapons were found on the ship. In an interview on Friday, the captain told the NGO Lifeline he refused to go to Tripoli after the rescued migrants caused panic and confusion when they realised where the ship was headed. He said the migrants threatened to “break” the ship unless he changed course to Malta. There were just six crew members and almost 100 rescued migrants, the captain pointed out. Faced with such a tough situation and feeling he no longer had control of the ship, the captain said he decided to head north. Migrants who were on the ship, many of whom are from Nigeria, Burkina Faso and Senegal, face an uncertain future. The youngest child on the vessel was just six months old. The migrants, including a pregnant woman and 47 people “claiming to be minors”, as the government put it, are being held at the initial reception centre, in Marsa. A spokeswoman for the Office of the Prime Minister said any decision about their future would have to await the conclusions of the pending magisterial inquiry.